WINTHROP -- For Denise Altvater, time in the child welfare system created a legacy of trauma in her family, just as it did for thousands of other American Indian families. WINTHROP — For Denise Altvater, time in the child welfare system created a legacy of trauma in her family, just as it did for thousands of other American Indian families. Altvater, a Passamaquoddy woman, spoke at a Martin Luther King Jr. Day breakfast Monday about the deprivation, abuse and racism she experienced as a child and her hopes for the Maine Wabanaki-State Child Welfare Truth and Reconciliation Commission. Altvater’s experience was part of a century-long practice of forced assimilation. Government agencies nationwide removed children from tribal communities and placed them in boarding schools and with white foster families. With a mandate from Gov. Paul LePage and Wabanaki leaders, the Truth and Reconciliation Commission will document what happened to tribal children in Maine’s child welfare system, make recommendations for change and promote healing among everyone involved. Five people were appointed to the commission in December and will be sworn in Feb. 12 in the Bangor area. They will spend about two years interviewing tribal members and caseworkers about their experiences. 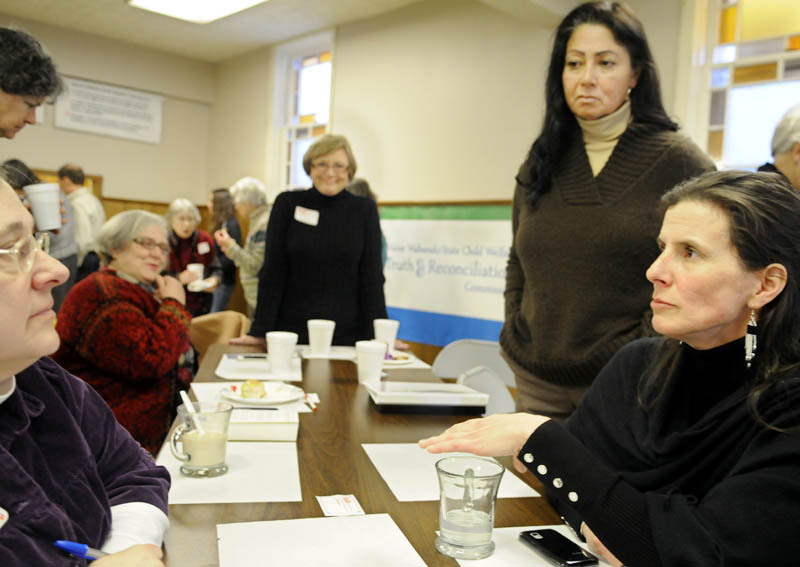 At the Winthrop Area Ministerial Association’s event Monday at the Winthrop Congregational Church, organizers connected the commission’s work to Martin Luther King Jr.’s pursuit of freedom and justice for all people. 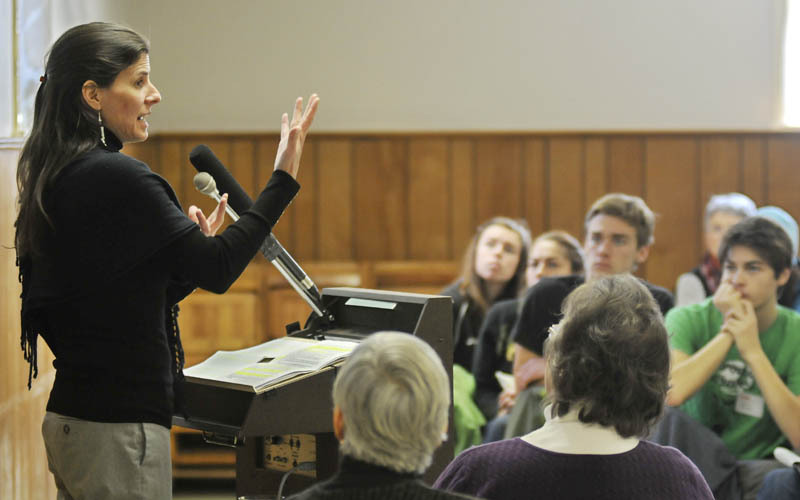 About 100 people filled the church vestry to learn about the treatment of American Indians by European colonists and the U.S. government and how it played out in Maine’s child welfare system, where Wabanaki children are still overrepresented. Attean credited Maine caseworkers with trying to understand and apply the 1978 Indian Child Welfare Act, which established that Indian children removed from their families should retain a connection to their communities and cultures. Problems remain, however, Attean said, and the past has left a shadow over the child welfare system. The Truth and Reconciliation Commission is intended to create a common understanding between Maine and the Wabanaki people about what has happened so the groups can collaborate on solutions. The conditions that led to Altvater’s removal from her mother’s home in Pleasant Point began long before she was born into a poverty-stricken community lacking plumbing, electricity and access to food and work. When Altvater was 7, she and her five sisters were taken from their mother and spent four years living in a group home where they were physically, emotionally and sexually abused. She lived with a good foster family for a few years before the girls returned to their mother; but after encountering racism at two high schools, Altvater dropped out, began drinking and had two children as a teenager. Two of Altvater’s three children have attempted suicide, and she hopes life will be easier for her grandchildren with dark skin and eyes like hers. Arla Patch, a writer volunteering with the commission, said it was difficult to learn about stories like Altvater’s. As a white person whose ancestors settled in New England very early, Patch felt sadness, shame and guilt. Patch said it’s necessary for white people to recognize their privilege, and for people of all backgrounds to examine their prejudices, and start educating others. Carie Johnsen, pastor at the Unitarian Universalist Community Church of Augusta, said she felt inspired by the presentation and the commission’s promise.